Now that Artec Studio 10 is officially out, let’s go through the differences between its two editions and license terms. 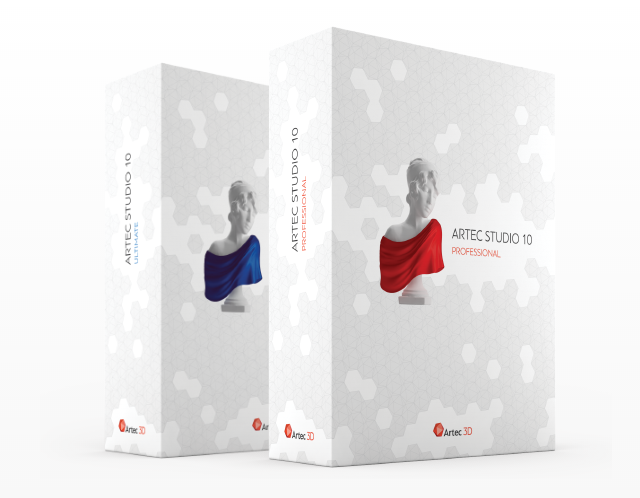 Artec Studio 10 is available in two editions: Professional and Ultimate. Both have the same great new and enhanced features. The difference between the two is that AS 10 Professional supports Artec scanners, and AS 10 Ultimate supports Artec scanners plus a range of third-party sensors, namely Kinect for Windows V1 & V2, Intel F200 (IVCAM), ASUS Xtion and PrimeSense Carmine. Both editions are offered on an annual subscription basis, and in addition, AS 10 Professional can be purchased as a lifetime license. If you choose to buy a lifetime license of AS 10 Professional, you’ll be getting minor updates (bugfixes) free of charge for as long as they are available. An annual license will be active for one year + one extra month (grace period) and then will need to be renewed. Should you opt for this kind of license, any software updates (minor bugfixes or major releases like AS 11, AS 12, etc.) will be free for you during the subscription period (13 months). Packs of three licenses come with a discount! With the release of AS 10, AS 9 is no longer available for purchase. If the user decides not to extend their AS 10 annual license or does not purchase a lifetime license of AS 10 after the subscription period expires, they can continue using their scanner, but with Artec SDK, which is distributed for free. Note that purchase of a lifetime license for Artec Studio 10 does not mean a free upgrade to future versions of the software, e.g. AS 11, AS 12, etc.